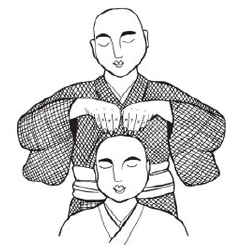 Reiki is simply a Japanese healing modality, it is a path of enlightenment and a healing method. Reiki is a journey in which you will re-discover yourself and heal yourself and others. As a universal power, not related any religion or culture, Reiki is available for everyone. ​﻿Reiki has three levels, between each level and the other you should take some time to practice, and most importantly: to feel Reiki and fell in love with it. In the Reiki Level 1 workshop (Shoden) ​you will learn about this healing modality and you will receive the attunements necessary to start healing yourself. You can also give treatments to your family and friends. However, you will not be practitioner until you complete level 2. In this level also, you will learn techniques in which you will create your daily practice upon. This practice will help you heal yourself and strengthen your connection with energy. In the Reiki Level 2 workshop (Okuden) you will learn about Reiki symbols and mantras, how and why we use them with Reiki. You will also receive the attunements necessary to use the symbols to become a practitioner and perform distance healing. In this level, you will add upon your Reiki practice. 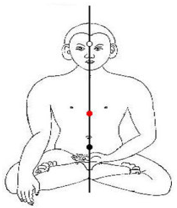 You will notice after this level that you are connected to higher levels of the Reiki energy. 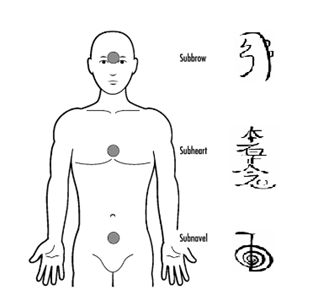 In the Reiki Level 3 workshop (Shinpiden) you will be introduced to another Reiki symbol that is so powerful to be used in healing. After this level, you will have the opportunity to open more and more completely to the limitless potential of Reiki and to develop the qualities that are contained in the Reiki energy. Also In this workshop you will learn how to perform attunements and reiju to attune your students –if you want to become a teacher – in the future. You will receive guidance of the best ways to use the universal energy and how to become a teacher. ​To start with the amazing journey of Reiki, you should start with Reiki level 1 , followed by 21 practice for about 5 -15 minutes daily. When you feel that you are ready for the next level then do forward to Reiki 2 which also should be followed by practice time , but instead of 21 days this time you will give yourself a year. During this year you will enjoy Reiki practice (meditation, chanting, hands on healing). Also you may work as Reiki practitioner after Reiki 2. 1. Reiki precepts, which are the base of Reiki that promote a healthy energetic system. 2. Reiki attunements, which are energy ceremonies that connect students to the Reiki energy. 3. Meditation techniques that refine and strengthen a student's connection to energy. 5. Mantras and symbols (introduced in Reiki level 2) that help students strengthen their connection to Reiki energy. - Pre e-course to prepare you for the workshop and help you to have a complete understanding about the expectation of the course. It also helps you to prepare for the course to gain the full benefit and immerse in the workshop. - Post e-course to assure that you get full understanding of the techniques that were given in the workshop. It will also contain ideas and extra techniques to extend the workshop practices. ​- Post course support to answer your questions and emails. I will answer each and every question about the workshops no matter how you think your question is silly, just ask !